The admit card will available for download online from last week of Feb 2018 onward at SSC official site i.e. www.ssc.nic.in. All applicants who done registrations successfully submit their applications are eligible to get the same. Aspirants have to follow few steps for download the same..
Visit the link given here and submit your registration number, date of birth and finally click on submit button and take print out of SSC LDC DEO Admit Card. 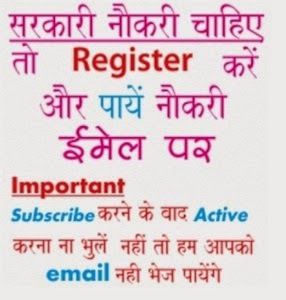 How to Download SSC CHSL Admit Card 2019? 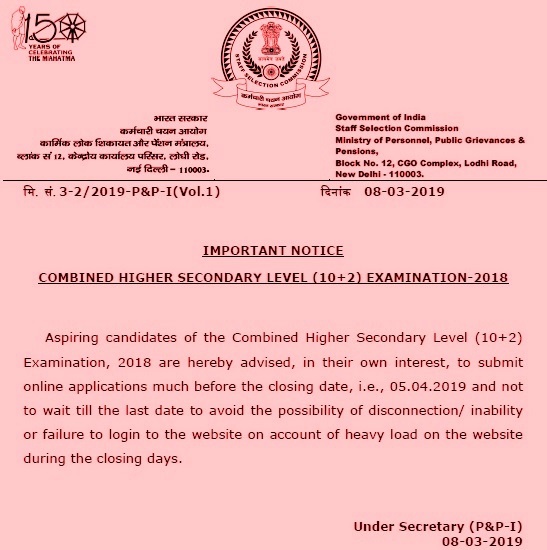 Old Alerts:SSC Central Region CHSL Tier 1, 2 Admit card has been uploaded…..........Download it through the Link Given Below…. Candidates looking for region wise or city wise admit card have to check the following links and schedule for duplicate hall ticket will be updated shortly. >> Chandigarh (NWR) Roll No. This Year Advertisement for this notification given below……………….. The latest recruitment issued by SSC for candidates is LDC/ DEO 5134 posts. 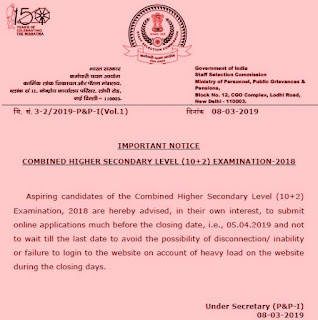 Eligible candidates can check all the updates for LDC DEO Recruitment 2019 from here. Minimum Educational Qualification: Candidates must have passed Matric with 12th Standard or equivalent examination from a recognized Board or University. Selection Process: The examination will consist of a Computer based Written Examination (Tier-I), Descriptive Paper (Tier-II) and Typing Test/ Skill Test (Tier-III) Examination for the post of Data Entry Operator, Postal Assistant & Sorting Assistant (PA/SA), Lower Division Clerk and Court Clerk. Application Fee- Pay Rs 100/- from online or offline mode. There is no fee for SC/ST/ PH/ Women/ Ex-servicemen category. Admit Cards for SSC North Regions (NR) will be available from 17 April, 2017 of Official website. SSC CR (Central Region) has uploaded Multitasking Staff MTS Exam 2016 & Candidates Status. Total 19,94,327 Candidates will appear for Exam in Central Region. Candidates can check Region wise Exam Dates below. Candidates can Download their Respective Admit Cards from the link mention below……. Staff Selection Commission is going to conduct written test to the post of Multi Tasking (Non-Technical) Staff in Different States and Union Territories. Many number of candidates had applied for this exam. SSC had uploaded Multi-tasking staff admit card on its regional websites..SSC CR (UP Bihar Region) had uploaded the admit cards. Download from table below. SSC KKR had notified candidates to check their application status.